Far from the glitz, glamor, and money of the UFC, practically every weekend young men and women across the country square up against each other in a caged “ring” to showcase their skills as mixed martial arts fighters. And for every UFC champion, thousands of men and women compete in local gyms and at ramshackle MMA events. 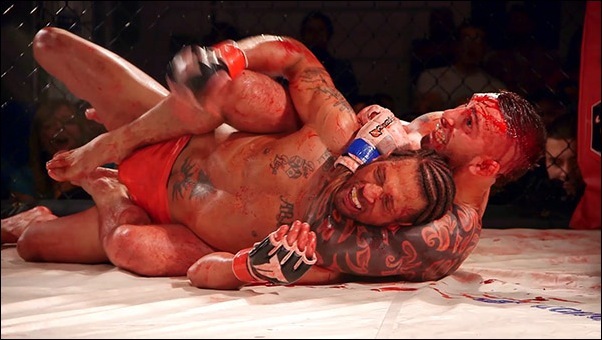 Cage fights can be bloody and brutal. The cost of competing can be high – being knocked out cold, tearing ligaments, breaking bones, even death in very rare cases. And while the top UFC champions may earn millions, lower level pros may only earn a few hundred dollars per fight, and amateurs earn nothing. Yet for these fighters the dedication and training needed to compete is comparable to their UFC counterparts. Who are these weekend cage warriors? Why do they do it? Is it fame and fortune, or something more primal? The Hurt Game takes a revealing look at amateur and entry-level professional mixed martial arts fighters, coaches, managers and promoters in the Seattle area. It highlights the career and unique perspectives of retired UFC standout Ivan Salaverry, along with other notable cage fighting veterans and professionals. It examines the real costs and rewards, financial and otherwise, of cage fighting as a hobby and as a career. It follows the path of four unique fighters as they strive for success in an often brutal and unforgiving sport. Some have college degrees and demanding professional careers, some are struggling to make ends meet. But education and background become insignificant once they step inside the cage, where toughness, courage, determination, fitness, skill, and luck determine who gets bragging rights for the day. The Hurt Game documents these men and women as they test their mettle and watch their dreams and reality collide.